Kimberly Larson, Big Blue Adventure Ambassador, grew up in Seattle, playing soccer, skiing and scuba diving. Most of her weekends until college consisted of ski team in the winter and competitive soccer the rest of the year. When the opportunity to go to college and play soccer in Hawaii arouse, Kim jumped at it. With a degree in broadcast journalism, Kim worked as a new producer with ABC, NBC & CBS affiliates for over 8 years. She got into triathlon while in Hawaii, more for having independent athletic goals! At the time Kim could not even swim the length of a 25-meter pool freestyle! Her first triathlon was a combination of side stroke, back stroke and breast stroke in Kaneohe Bay, she was first in her age group and decided to learn freestyle!!! 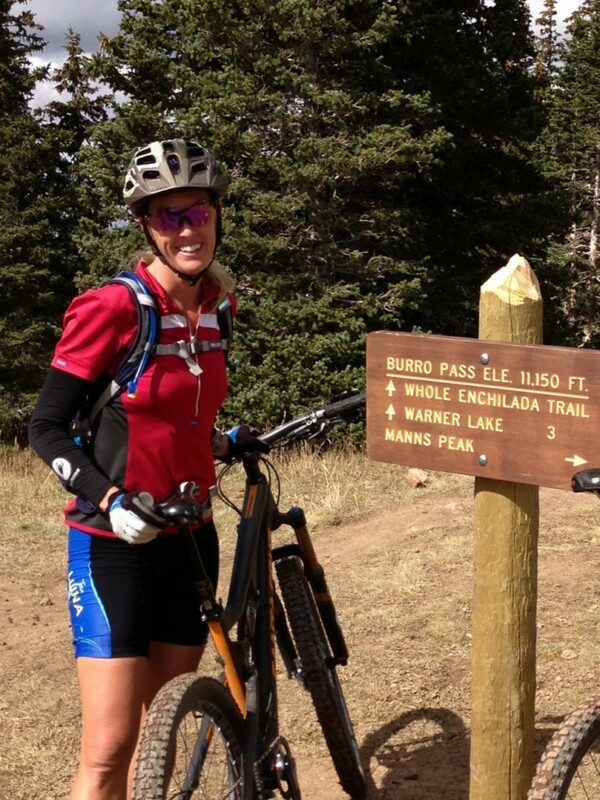 After 8 years of triathlon and Ironman racing Kim changed careers and picked up mountain biking “just for fun” and to help her recover from knee surgery. She fell in love with it, and the rush of going downhill over steep and rocky terrain. From there Kim took on the Team LUNA Chix Tahoe Mountain Bike program and really improved on her own mountain bike skills while encouraging and teaching others at the same time. Last year (2014) after a ten year break from triathlon, mainly swimming and running, Kim picked up Xterra thanks to her spouse & good friends encouragement and fell in love! She hopes to continue racing as long as her knees let her!